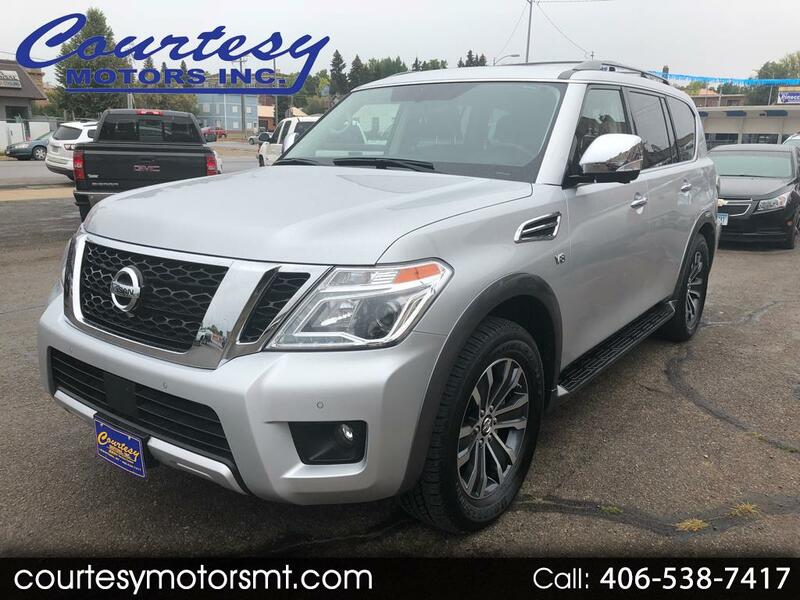 Used 2018 Nissan Armada 4WD 4dr SL for Sale in Lewistown MT 59457 Courtesy Motors Inc. Check out this lease return 2018 Nissan Armada SV AWD! Loaded with all the goodies including heated, power, memory leather seats, Navigation, Sunroof, and too much more to list! Stop in and test drive this 2018 Nissan Armada today!